Psychopathology and socioeconomic position: what can be done to break the vicious circle? Socioeconomic circumstances are known to be associated with mental health since the seminal work conducted by Edward Jarvis in the State of Massachusetts in the United States in 1855, showing that persons belonging to socioeconomically deprived groups were disproportionately represented among those hospitalized in then-called ‘asylums’ . Like many physicians and pioneer epidemiologists of his time, Jarvis primarily attributed the relationship between mental ill health and poverty to individuals’ innate flaws, which were thought to be amenable to change via “moral treatment”, but which were largely unavoidable. It followed that social inequalities in mental health were thought to be equally unavoidable. 160 years later, what is the state of understanding of the relationship between mental health and socioeconomic position? Research conducted in recent years, including the article published by Hu et al. in this month’s issue of ECAP  shows that in the twenty-first century, socioeconomic position—as measured by neighborhood characteristics—still predicts psychopathology in children and adolescents (in this case the experience of clinically relevant self-harm). Other studies report that parental educational level, income and employment status as well as family food insecurity and children’s perception of their social standing predict internalizing [3, 4, 5] as well as externalizing symptoms and substance use [4, 5, 6]. An important issue is that the extent of social inequalities observed varies both with measures of socioeconomic position and psychopathology. Measures tapping into poverty, such as food insecurity, or those that take into account young people’s perceptions appear most strongly associated with mental health. Similarly, socioeconomic inequalities appear most consistent with regard to externalizing rather than internalizing symptoms. What are the mechanisms that explain these socioeconomic inequalities? Because psychiatric disorders are multifactorial, many different pathways contribute to higher levels of occurrence and symptoms among the most disadvantaged youths, including birth complications and difficult family circumstances , negative life events and their accumulation over time which can create a ‘weathering effect’ [8, 9], and delayed diagnosis . More recently, epigenetic pathways have also been suggested . As shown by Hu et al., parental history of a psychiatric disorder is another important contributor to socioeconomic inequalities in offspring mental health . Moreover, mental health problems can also have an impact on youths’ academic achievement as well as later employment and delinquency. Du Rietz et al. 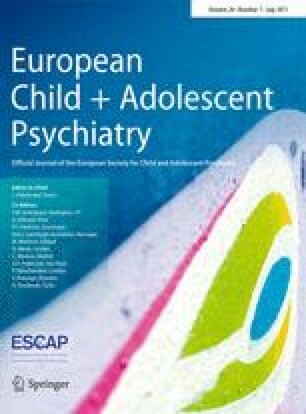 focus specifically on the long-term association between adolescent symptoms of hyperactivity and inattention and later life outcomes; contributing to prior research in this area [13, 14], they show that symptoms reported by parents are more predictive of later outcomes than those reported by youths themselves. This may be because parents may have a higher threshold for identifying symptoms in their offspring and may be more sensitive to disruptive behaviors than inattention. Du Rietz’ paper does not tell us whether parents’ ratings of their children’s symptoms vary depending on whether they themselves have mental health problems, but it may be that the experience of psychological difficulties makes some parents more likely to identify them in their children. Overall, these data point to the long shadow of childhood psychopathology, not only in terms of mental health but also social functioning, which further fuels social inequalities in mental health. So, is there a way to decrease social inequalities in mental health? Although not specifically geared to answer this question, the study conducted by Wang et al. points to one possible answer. If MRI-ascertained structural brain abnormalities can help identify adolescents who experience schizophrenia, use of such neurological measures for early detection could help adequately address youths’ mental health needs and improve their long-term prognosis . And, by ricochet, limit the socioeconomic impact of psychiatric disorders. Moreover, contextual interventions, particularly ones that target family or school functioning have the potential to develop children’s and adolescents’ resources and have shown efficacy across diverse socioeconomic settings . Finally, a unique study conducted by Costello et al. set in the 1990s among youths growing up on an American-Indian reserve, where some families benefited from additional revenue after a casino opened on their land, showed significantly improved mental health among youths whose families were lifted from poverty. This effect lasted through adulthood  and extended beyond improved mental health to higher educational attainment . Interestingly, this study found that supplemental income received in adulthood did not have a significant effect on mental health, highlighting the critical role of childhood and adolescence. Hence, another way of limiting socioeconomic inequalities with regard to mental health is to ensure decent living conditions to all families and children.